Their full name is “Cane Corso Italiano.” Though the breed has only been recognized by the AKC since 2010, their origins can be traced all the way back to ancient Roman times. The Cane Corso got its start on small, southern Italian farms. These early dogs can be seen in paintings from the period. On these farms, Cane Corsos were hard working dogs. They would help hunt game, herd semi-wild animals, and guard livestock. The early breed did this for centuries, never moving out of southern Italy. They were considered very rare up until 1988 when they began to gain popularity, according to the International Cane Corso Federation. Today they are a very unique breed, not suited for every family. But they can make exceptional pets all the same. With their roots tracing back to livestock guarding, it’s no wonder that these dogs are often used as guard dogs. Cane Corsos bond very strongly with their families, considering them their pack and will protect their pack at all costs. The Cane Corso Association of America cautions that these dogs have dominant personalities that must be kept in check. When presented with a new and strange situation, a Cane Corso has more fight than flight in them. This means the dog will typically bark at the door, and if left to their own devices, could harm a visitor. This is why they must view their family members as Alpha dogs. Anyone interested in getting a Cane Corso must be able to take on the role of Alpha consistently. A Cane Corso thrives on instruction and is quite eager to please. With the proper Alpha dog, their bodyguard nature can actually be a huge asset. Keeping in mind their tendency towards dominant social behavior, serious training is essential for a Cane Corso says the CCAA. 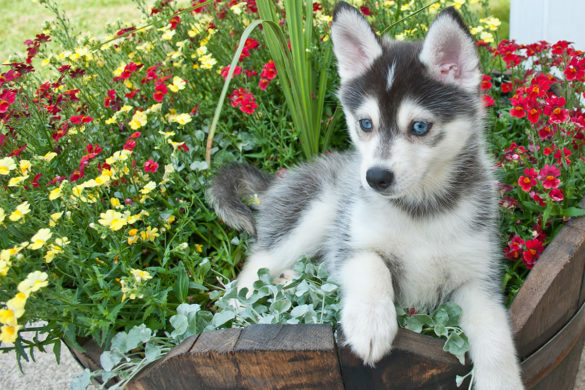 The AKC states that they are “easily trained” due to their eagerness to please. Positive reinforcement works well with these sensitive souls. But they are equally sensitive to a weak-willed owner. Socialization is the essential place to start with a Cane Corso. 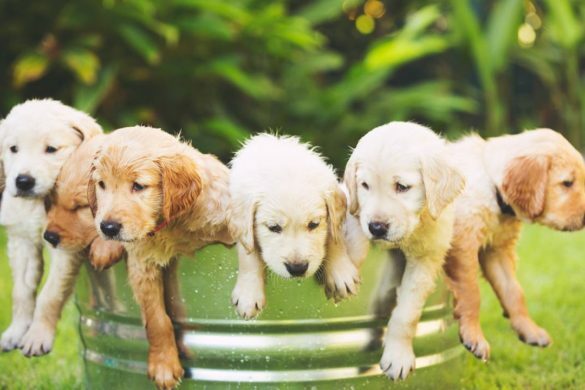 They must have plenty of exposure to new situations, new people, and new dogs so that they are far less likely to lash out in a strange environment. During these socialization periods, a Cane Corso owner must remain firm and in control, reminding their dog who is boss. Basic commands have to be mastered. Sit, come, stay, lie down, and other simple commands are an extremely important foundation for these dogs. They love structure, so provide it! Basic commands should be practiced and reinforced daily to remind them of the household pack order. In addition to basic commands, household boundaries should be very clear. Is the dog allowed on the couch? Be consistent. Can they eat table scraps? Either yes or no. Don’t allow for any gray area with a Cane Corso. And don’t spoil them! They are quick to take advantage. While much of their personality can seem a bit intimidating, there is a good reason why many people love them. Many dog breeds display affection in the stereotypical ways: extreme tail wagging, wiggling body, excitability, and overall infectious joy. The Cane Corso is much more reserved. The CCAA highlights the way that “they make remarkable eye contact with their favorite people.” In other words, the Cane Corso is not showy but prefers to display their affections in subtle ways. Their dedication to working for you is how they express love. The way they quietly sit by your side is how they express excitement for your presence. Their ways of communicating affection are very different from a typical canine but tend to feel much more meaningful. 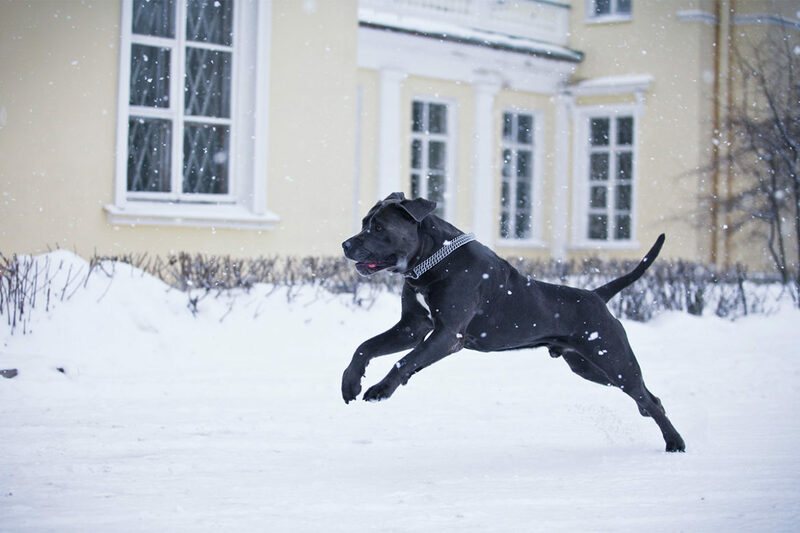 Many Cane Corso owners will claim their dog acts a bit goofy around their family. But if you were invited over for dinner, you would never see this side. The Cane Corso gets much more reserved around house guests, according to the ICCF. A well socialized Cane Corso will pleasantly greet visitors but will hesitate to show their goofy side. They tend to remain serious when around anyone who is not in their pack. A quick search of a Cane Corso will show two “different” dogs: one with floppy ears, and one with short, pointed ears. Of course, they are both the same dog. Cane Corsos are born with flopped over ears that typically get cropped at a certain age. Some dog owners find this practice unnecessary, but the CCAA considered it a great tradition in Cane Corso ownership. The CCAA makes the argument that upright ears are more natural for a dog. 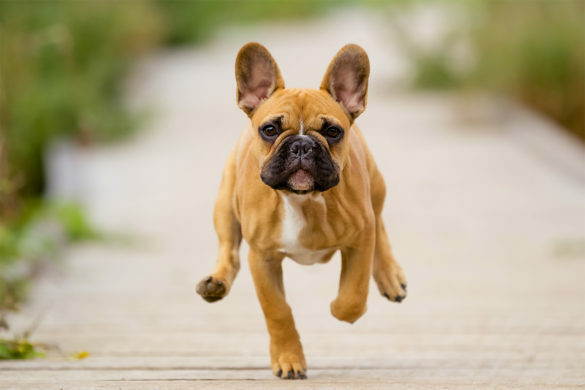 Flopped ears are a result of genetic mutations by humans, and a pricked ear allows the dog to hear better as they naturally would. 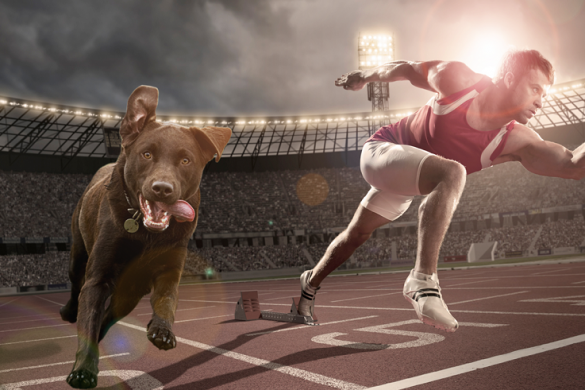 Another consideration is the risk of injury to your dog. 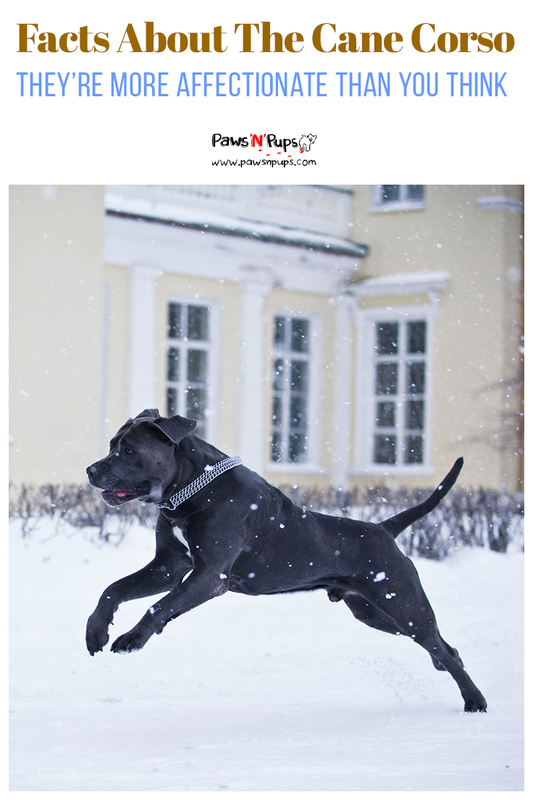 If your Cane Corso is working in some capacity, a flopped ear is much more likely to get injured than a cropped ear. Ears tend to bleed a lot, causing quite a scene if out hunting or at a competition. Ears also tend to scar easily after injury. Cropped ears also have less chance of getting an ear infection. A flopped ear traps moisture, causing bacteria to grow. A cropped ear can dry out, and any issues can be caught early due to the visibility. Above all, Cane Corsos are extremely devoted to their families. They consider their family to be their pack. Their guarding instincts, willingness to work and sensitivity all stem from their love of family. The CCAA recommends giving your Cane Corso a job. This doesn’t mean you have to live on a farm to own a Cane Corso. Any job will do. Whether it’s assisting with taking care of the children, guarding the house, or greeting customers at a storefront, they will take on whatever task they are assigned with gusto. For this reason, they should not be left alone for extended periods. Nor do they do well in dog daycare situations. They need constant stimulation and direction. Without something to do, they can become destructive. The entire family should be a part of training and instructing the Cane Corso. Young children need not worry about training, but a Cane Corso will love and protect them just the same. A Cane Corso is a truly loyal breed that is perfect for a family who is willing to devote just as much love and energy. Do you know any Cane Corsos? What do you think of this extraordinary breed? Let us know!